Michel Crouhy is Head of Research and Development at NATIXIS Corporate and Investment Bank, a subsidiary of Groupe BPCE. He has the bankwide oversight on all quantitative research and the development of new products and applications supporting the trading and structuring businesses. He is also the founder and president of the NATIXIS Foundation for Quantitative Research, which promotes and supports academic research and world-class events in the area of mathematical finance. Formerly, Dr. Crouhy was senior vice president, business analytic solutions, in the Risk Management Division, at the Canadian Imperial Bank of Commerce. 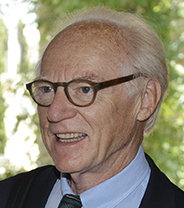 Prior to his career in the industry, Dr. Crouhy was a professor of finance at the HEC School of Management in Paris, where he was also the founder and director of the M.S. HEC in international finance, the first MS program in financial engineering. He has been a visiting professor at the Wharton School of the University of Pennsylvania and at the University of California, Los Angeles. Dr. Crouhy is a founding member of PRMIA (the Professional Risk Managers’ International Association) and a member of the PRMIA Blue Ribbon Panel, and a member of the Credit Risk Committee of the International Association of Financial Engineers (IAFE). He is the author and co-author of several books, the most recent ones being Risk Management (McGraw-Hill – 2001), The Essentials of Risk Management (second edition, McGraw-Hill – 2014); and he has published extensively in academic journals in the areas of banking, options, risk management and financial markets. He is also associate editor of several academic journals. Dr. Crouhy holds a PhD from the Wharton School of the University of Pennsylvania and has a Doctoris Honoris Causa from the University of Montreal.